Sarajevo (AFP) - Nationalist candidates of Bosnia's Croats, Muslims and Serbs were ahead in the race for the country's tripartite presidency, partial results showed early Monday. Bakir Izetbegovic, head of the main Muslim SDA party, looked set to win his second term as the Muslim member of the joint presidency. His main opponent, local media mogul Fahrudin Radoncic, garnered 26.67 percent, the early results from the electoral commission showed. Zeljka Cvijanovic and Dragan Covic were leading the race for the Serb and Croat member of the presidency respectively, both from nationalist parties. However, race between them and their main opponents was a bit tighter. Apart from the tripartite presidency, some 3.3 million Bosnians were eligible to vote on a new central parliament in Sunday's general election. They were also electing assemblies of the two semi-autonomous halves that make up Bosnia since its 1990s war -- the Muslim-Croat Federation and the ethnic Serb Republika Srpska. The two are linked by weak central institutions. Ethnic Serbs were also voting for a president of their entity. 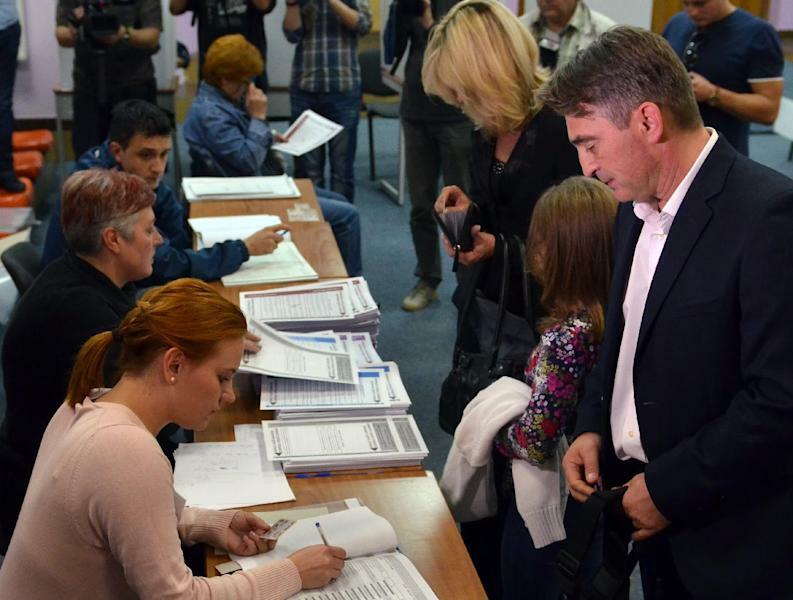 Partial results for the central parliament, entities' assemblies and the Bosnian Serb presidency would be announced on Monday afternoon, the electoral commission said. 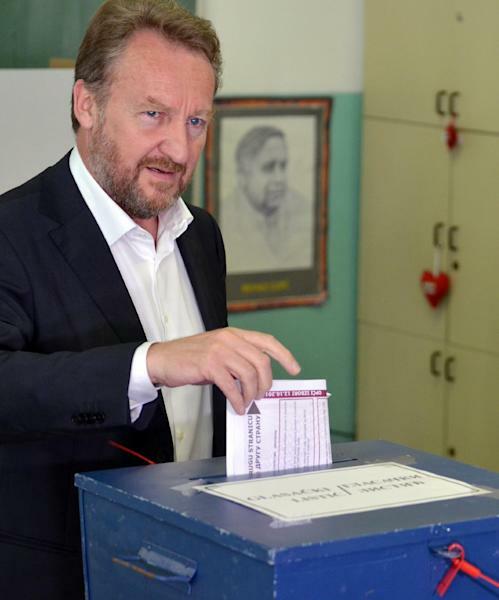 But Izetbegovic, 58, convinced of the victory of his SDA party said early Monday it would be a "leading force" in the country and a "basis for all future coalitions" to form a government. The voting was held amid mounting social discontent over endemic corruption, ethnic disputes and economic woes that have troubled Bosnia's rapprochement with the European Union. The 1992-1995 conflict killed 100,000 people. As always ahead of elections here, politicians returned to nationalist rhetoric to woo voters, notably the Bosnian Serbs. 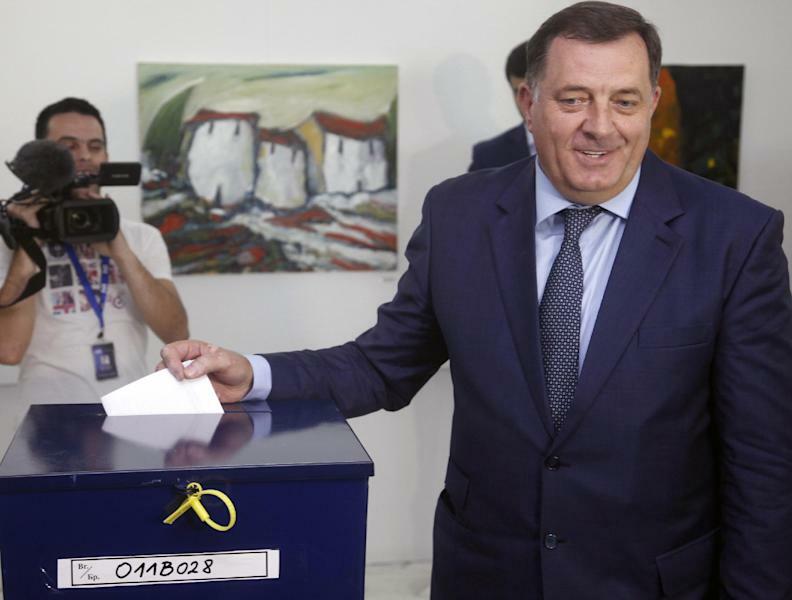 Their nationalist leader, Milorad Dodik, running for a new term as Republika Srpska president, renewed threats that his entity might secede. "The aim of my policy is that we are less and less an entity and more a state!" Dodik told a recent electoral rally. Ivana Saric, a student from Sarajevo, said she had voted for a small, multi-ethnic party. But she said she did not believe many would follow her example. "People are afraid to vote for major change, possibly because they are traumatised by the past. Twenty years ago they chose democracy. That brought them independence and then, later, war." Bosnia's economic doldrums form a grim backdrop to the vote, with an official unemployment rate at 44 percent and an average monthly salary of 415 euros ($525). Corruption that has plagued the country since its inception now costs taxpayers some 750 million euros annually, according to non-governmental organisations. Growing public discontent escalated in February into the kind of popular uprising not seen since the brutal conflict of two decades ago. Thousands took to the streets to protest the government's failure to fight graft and introduce political and economic reforms needed for the country to gain EU membership. Major floods in May, which caused an estimated two billion euros in damages -- roughly 15 percent of Bosnia's gross domestic product -- have further aggravated the economic situation. And Bosnia's EU aspirations have been put on hold by political deadlock since 2006 due to ethnic tensions. Politicians from the three major ethnic groups have failed to agree on reforms needed for membership in the 28-nation European bloc, leaving Bosnia lagging behind its fellow Balkan countries. Political analysts warn that incoming elected officials will have to act quickly to prove their worth to a public which is otherwise likely to stage a new round of protests. Ahead of the vote an EU statement said Bosnians should expect their elected officials "to bring much needed reconciliation in society and politics... close the gap with rest of the region and ensure progress towards the EU". Turnout was 54.14 percent, around two percentage points lower than at the 2010 polls, official figures showed.